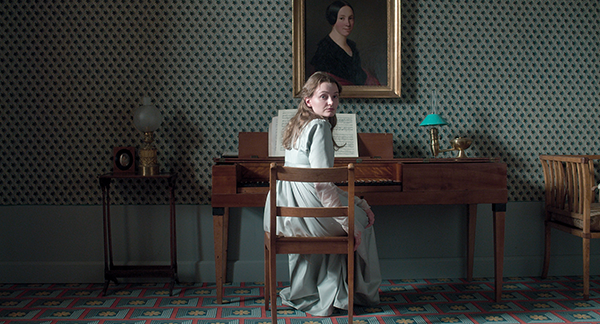 The Austrian director, who first came to prominence at the 1999 Festival de Cannes, presents Amour Fou, her 6th feature film: a "romcom" inspired by the suicide of the German poet Heinrich Von Kleist en 1811. In 1999, Jessica Hausner earned a special mention from the Cinéfondation Jury for Inter-view, the final-year work while still at film school. Since then, the director's career has brought her into repeated contact with the Festival de Cannes, where three of her works, including Hotel (2004), have been screened. Presented in 2001 for Un Certain Regard, Lovely Rita won critical acclaim for the young director from the Film Academy Vienna, where she fell in love with the works of Kurosawa and Buñuel. The film took a head-on look at the latent violence underlying the whole of Austrian society. After being a member of the Cinéfondation and Short Films Jury in 2011, Jessica Hausner returns to the Official Selection with this story of a young poet who decides, as a matter of principle, to steal a march on death by planning his own suicide with the aid of a close cousin. "I had the idea of a film featuring a romantic double suicide, which of course is anything but romantic, when you put it that way." says the director. "The starting point, based on a misunderstanding, slowly descends into comedy, as if to prove that the reality of life sometimes thwarts even the most idealistic of plans." The filmmaker builds a narrative based on the hapless and incongruous death of the German poet Heinrich Von Kleist, who took his own life at the beginning of the 19th century, but not before boldly asking several of his friends to accompany him on his journey into the great hereafter. "In the end, no-one agreed to go with him. Apart from a certain Henriette," says Hausner. Henriette Vogel, a married musician, involved in an exchange of love letters with Heinrich Von Kleist, finally agreed to his request. The famous dramatist killed the poor Henriette, who was incidentally suffering from cancer, and then turned his arm on himself.